Best Guard Dogs: Which Vigilant Pup Will Protect Your Property? Home FAQ and help Best Guard Dogs: Which Vigilant Pup Will Protect Your Property? Are you wondering which breeds make the best guard dogs? Even in the age of state-of-the art alarm systems and closed circuit television, many of us still prefer the comfort of a watchful guard dog. Guardian breeds will not only alert you when someone comes to your door, they will safeguard you and your family in dangerous situations. This article is all about our most trusted and true guard dog breeds. What make a good guard dog? Some breeds are natural guard dogs and instinctively protect their home and family. Faithfulness, courageousness, strength and alertness are qualities you’ll find in good guard dogs. If you have children, you may feel that guard dog breeds are too big, strong or aggressive to have in the home. This is not necessarily true. With proper training and socialization, many of the best guard dogs also make loving family pets. When you’re looking for a guard dog, you want to make sure he (or she!) has an appropriate temperament. The best guard dogs are energetic, alert, patient, confident, trainable and responsive. A dog who has a relaxed, friendly temperament will make a better guard dog than one who is overly aggressive. Dogs who growl, whimper, have their teeth bared or their ears pressed flat against their skulls are exhibiting signs of fear and anxiety. These are not signs of a good guard dog. 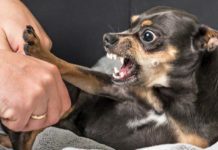 Dogs who act out of fear can potentially become aggressive and attack even in non-threatening situations. If you play with a dog, he should be engaged with you instead of running away and hiding his toys. When you attempt to put a leash on a dog, he should walk beside you instead of lunging to get away. The American Kennel Club (AKC) lists Akitas, Bullmastiffs, Doberman Pinschers, German Shepherds and Rottweilers among the best guard dogs. Each of these breeds is unique in their history, health and other attributes—as we’ll discover in more detail shortly—but all of these dogs are on the alert and brave. Originally bred to guard Japanese nobility, Akitas are known for being brave, stubborn and attentive, with an unwavering devotion to their owners. This dignified dog can also be playful and affectionate with those they love. A wariness of other people and animals stems from this loyalty. They need to be socialized at an early age to ensure this protecting instinct is controlled and they don’t go after every person who visits your home. A deep-chested breed, Akitas are prone to bloat. Bloat is a life-threatening gastrointestinal syndrome in which the stomach twists back on itself. Other common health issues include hereditary eye diseases that can cause blindness, thyroid disorders and hip dysplasia. AKC lists the Akita 47th in popularity. Docile and alert, loving and courageous, patient and powerful, the Bullmastiff is a study in contrasts. This unique mix of qualities is what makes them the ultimate guard dog and a wonderful family companion. The Bullmastiff was originally developed in 19th century England by crossing an English mastiff with the extinct Olde English bulldog. The breeders wanted a guard dog who would protect wealthy estates from poachers. Bullmastiffs are distinct because they were bred to neither bark nor bite. Their job was to quietly track and apprehend trespassers without injuring them. They are likely to stop intruders by using their brawny bodies to knock them down or block their way. A heavy-boned breed, they are prone to hip and elbow dysplasia. Cancer is a concern, as all large breeds are at a higher risk of cancer than smaller breeds. Good breeders will also screen for cardiac and eye problems. The bullmastiff ranks 51st in popularity on the AKC list. With their sleek and powerful physique, keen intelligence, speed and stamina, the Doberman Pinscher is one of the best outside guard dogs. The breed originated in Germany in the 19th century when dog breeder and taxman Louis Dobermann wanted to create a reliable and imposing guard dog to accompany him at work. Their reputation for being ferocious and intimidating has been on the decline as breeders have worked to tone down these qualities. This natural protector is extremely loyal and can make a good family pet if they’re socialized at a young age and are treated with respect. Inherited diseases of the Doberman include cardiomyopathy and Wobbler’s syndrome, a compression of the spinal cord, which in extreme cases can cause paralysis. 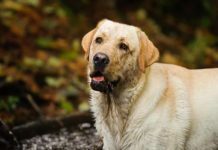 Hypothyroidism and hip dysplasia are other genetic health problems of the breed. The AKC lists the Doberman pinscher at 16th in popularity. A chiseled, agile body, high intelligence and a confident, courageous attitude make the German shepherd one of the best guard dogs in the world. In late 19th-century Germany, Captain Max von Stephanitz hoped to create the perfect working dog. Steadiness, intelligence and the ability to take direction quickly with minimal training are traits that have made the German shepherd one of the most popular working breeds. Today these dogs serve as search-and-rescue dogs, police K-9s, guide dogs and much more. A number of hereditary diseases are associated with German shepherds, including hip dysplasia and degenerative myelopathy. Their popularity as a guard dog has led to them being bred for a larger size. This could be predisposing them to health conditions like arthritis. Coming in at number 2 on the AKC popular breed list, only the Labrador retriever is more popular than the German Shepherd. This robust working dog is believed to have descended from the herding dogs of ancient Rome. 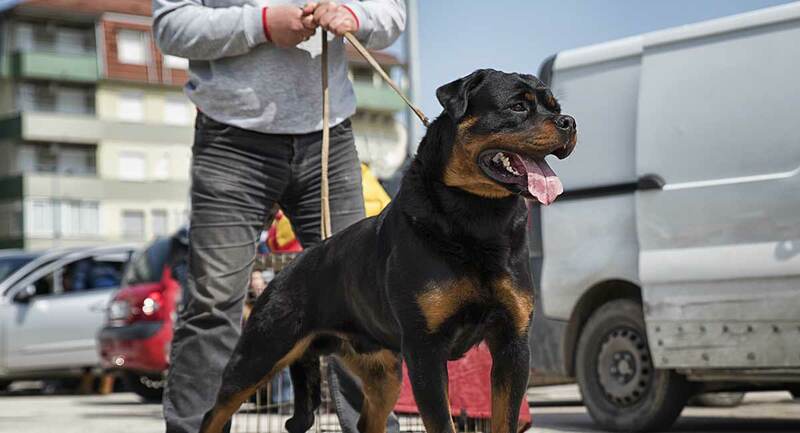 Throughout their long history, the Rottweiler performed many different jobs, including cattle herding, police and military work. A reputation for being a ferocious attack dog has gotten the Rottweiler outlawed in some municipalities. However, they can be extremely gentle and loving pets if properly trained and socialized. These dogs are instinctively protective of their families and can make top guard dogs. They generally view the rest of the world with indifference as long as they don’t detect a threat. Hip dysplasia, eye diseases, heart conditions and neoplasia, an abnormal growth of tissue, are common health conditions. Rottweilers are 8th in popularity on the AKC most popular breeds list. As with most things, size isn’t everything, and there are small guard dogs who can stop an intruder in their tracks when they sound the alarm. The Lhasa Apso is a small, hardy dog known for her extravagant coat. This thousand-year-old breed protected ancient Tibetan temples. The guarding trait is bred into their character, and they take their duty to protect seriously. Long, low-to-the-ground, and instantly recognizable, the Dachshund has it in his nature to be on guard. They’ve been known to scare potential threats with their big-dog bark. Bred as hunters, they can be very brave. Fiesty and loyal, the Pomeranian is a little dog to be reckoned with. Despite their size, they are brave, bold and fiercely protective of their territory. If someone is trying to sneak onto your property, a Pomeranian will always let you know. Early socialization is key when trying to curb a guardian dog’s natural guarding tendencies. Give your puppy positive encounters with a variety of people to make him less fearful and aggressive. Playing with other dogs at the park or obedience classes will teach him to get along with other canines. 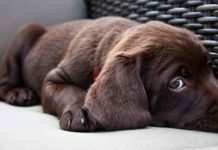 Household noises, from vacuum cleaners to dishwashers, can frighten a puppy. A trip to the dog groomer for a shampoo and nail trim can be traumatic. 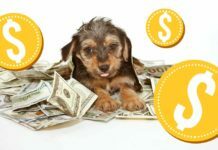 Expose your puppy to as many different experiences as possible to ensure he will be a confident, well-adjusted adult dog. Keep in mind that the instinct to guard has been deeply ingrained into guardian dogs, and some breeds will be easier to socialize than others. This study found that it was easier to socialize German Shepherd puppies compared to Doberman Pinscher puppies. Positive reinforcement training allows you to communicate clearly with your dog by rewarding good behavior with praise and treats. Your dog is more apt to repeat doing things correctly when he receives your admiration or food. 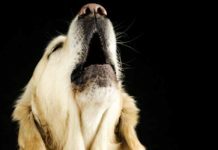 Positive reinforcement is one of the simplest and most effective ways to change your dog’s behavior. Timing, however, is key. Rewards must be given within seconds of the good behavior to ensure he associates it with the correct behavior. Keep commands short and be consistent so he doesn’t become confused. You can read more about the evidence positive reinforcement here. Thankfully our understanding of canine behavior has advanced over the last few decades. Outdated, punishment-based techniques that were based on studies of wolves have now been discredited. Recent studies have shown that wolves live in supportive family units. There is no leader of the pack or any structured hierarchy within in the group. The idea that displaying dominance and power over the dog will cause him to submit and become calm has now been rightly discredited. Dominance training is pointless and in some cases has caused many dogs needless harm. You can find out more about the dominance theory and why it doesn’t work by reading this article. Have you found the best guard dog for you? We’ve seen here that guard dogs come in many shapes and sizes. And they have a wide range of temperaments too, so you don’t have to look for guarding skills at the expense of all else when you choose a pup. Good guarding behavior is the result of using positive reinforcement to teach your dog to alert you to specific events. It isn’t borne from a fear of people or strangers. In fact a guard dog should be relaxed and confident around all kinds of people, and an affectionate member of your family. Regardless of whether you choose a small guard dog or one that can touch your hip, a healthy relationship with your pet and proper socialization is key. Which guard dog did you choose? Tell us which breed was right for you, and how they’re getting long in the comments box below! Edwards D.S., et al, 2004, “Breed Incidence of Lymphoma in a UK Population of Insured Dogs,” Veterinary and Comparative Oncology. Glickman, L., et al, 1995, “Canine Gastric Dilatation-Volvulus (Bloat),” School of Veterinary Medicine, Purdue University. Haverbeke, A., et al, 2009, “Assessing Undesired Aggression in Military Working Dogs,” Applied Animal Behaviour Science. Oberbauer A.M., et al, 2017, “Long-Term Genetic Selection Reduced Prevalence of Hip and Elbow Dysplasia in 60 Dog Breeds,” U.S. National Library of Medicine National Institutes of Health. O’Neill, D.G., et al, 2017, “Rottweilers Under Primary Veterinary Care in the U.K.: Demography, Mortality and Disorders,” National Center for Biotechnology Information, U.S. National Library of Medicine. O’Neill, D. G., et al, 2017, “Study Highlights Potential Health Consequences of Selectively Breeding German Shepherd Dogs,” Canine Genetics and Epidemiology. Uzunova K., et al., 2007, “Study on the Behaviour of Puppies With Regard to Their Socialization,” Trakia Journal of Sciences. Wahl, J.M., et al., 2008, “A Review of Hereditary Diseases of the German Shepherd Dog” Journal of Veterinary Behavior. Wess G., 2010, “Prevalence of Dilated Cardiomyopathy in Doberman Pinschers in Various Age Groups,” Journal of Veterinary Internal Medicine. Previous articleSmartest Dogs: Is Your Pet the Cleverest Pup of All?